Since the move a few days ago, los AR Emojis Samsung were going to make the leap to Galaxy Note 8 and Galaxy S8 soon. And we have not had to wait too long for Samsung has prepared the launch of the firmware update that will bring with her, at least for the devices Note 8. This update, which has already begun to arrive in some countries like France, not only carries the latest security patch to the high-end mobile Samsung (Galaxy S and Galaxy Note), but, in addition, users of the Note 8 will find with joy that also includes two functions that we have already seen in the Galaxy S9 – the above mentioned AR Emojis and super slow motion. As reported by XDA Developers, some users from other countries (in Spain still has not arrived) have been made public by the two big changes that appear in the update information. on the one hand, the Samsung Galaxy Note 8 is compatible with the video recording at 960 fps (super slow motion or Super Slow-motion), a feature present in both the last terminal star Samsung as in other models of competition (the Huawei P20 Pro, for example). 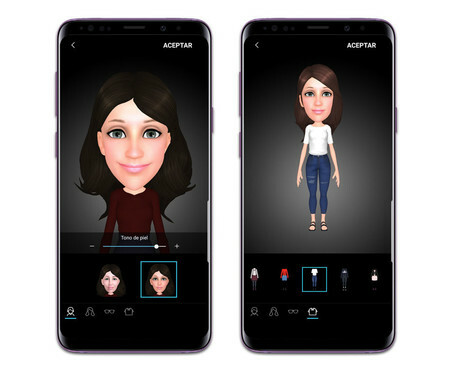 on the other hand, this update brings (perhaps as a response to the Animoji and Memoji has been announced by Apple in iOS 12) another of the new features that Samsung introduced with the Galaxy S9. We talk about the AR Emojis, a recreation in 3D of our face we may use and share imitating our expressions or a series of stickers pre-configured. Until now, AR Emojis Samsung were exclusive to the Samsung Galaxy S9 and S9+ and the newly introduced Samsung Galaxy Note 9, but as of this update they will be the users of the Note 8. The update, which occupies a total 711.91 MB, it will come with the number of firmware N950FXXU5CRHA and el security patch corresponding to the month of September. We still don’t know his specific date of arrival to our country, but taking into account that it has ceased to see in France, it seems that it will not take long. The news The Samsung Galaxy Note 8 is updated with AR Emojis and super slow motion was originally published in Xataka Android by Laura Sexton .